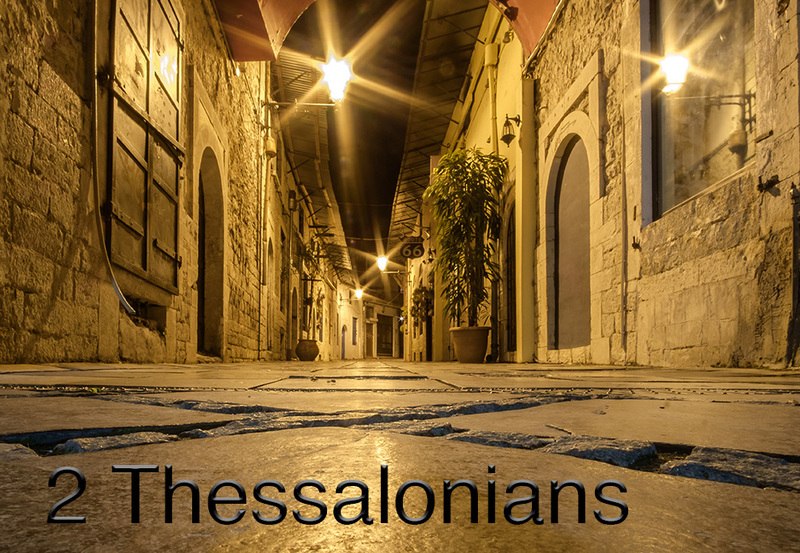 New Testament Greek Study Of 2 Thessalonians. If you don’t already have Adobe’s free Acrobat Reader, please click on their logo above to go to Adobe's official download site. 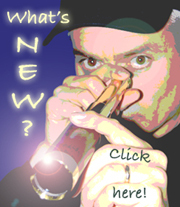 Please download whatever you need from among these notes and articles. They are posted as PDF files. To read them, you will need Adobe’s free Acrobat Reader. Our New Testament Greek fellowship normally meets every even Saturday of the month, from 10:00 AM to 11:30 AM. Please check our main Biblical Languages Fellowship page for changes in time or location. All are welcome. 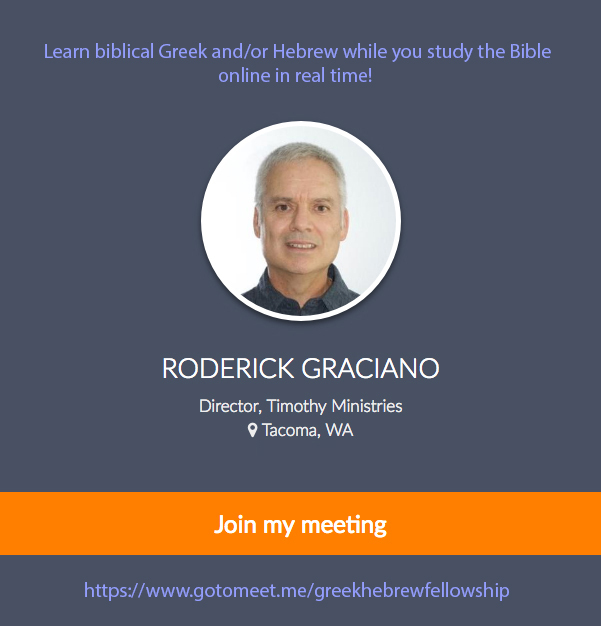 Beginners will get to read from the Greek New Testament on their first visit, using modern Greek pronunciation. No registration nor purchase of textbooks is required. All can learn at their own pace as we read and discuss the Scriptures together. Greek Word Of The Day! Work sheets to help students remember the ideas covered in our study of 2 Thessalonians 2 in the Greek New Testament. This treatise by Roderick Graciano provides an explanation of the actions and identity of the restrainer in 2Thessalonians 2.6-7. This Index will allow you to easily look up where a specific exegetical or grammatical topic is covered on our GNT 2 Thessalonians 2 Lesson Sheets. Also find where specific Greek words or Scripture references are mentioned. You can join our weekly study online, in real time, every Saturday at 10 AM, using your computer or mobile defice. Email the administrator for further information.